Is finding enough time to plan and produce really great content your biggest challenge? 22% can’t find enough time to create content. 20% find it tough to plan content ahead of time. 16% say the hardest part of blogging is creating really good content. So now you know you’re not alone. But these challenges are just a few things we learned from the 2015 Better Blogger Survey. Nearly 500 bloggers helped us understand your goals, how you measure success, how you work, and what you’re planning for this year. While some of these lessons are just interesting facts, there are a lot of helpful takeaways you can use to become an even better blogger—and really make your content stand out in 2015. 1. Most bloggers have been blogging for a year or less. A whopping 30% of respondents are newbies, whereas another 15% have been blogging for two years, and another 13% have been blogging for three years. It's interesting that in December 2012, WordPress blog posts numbered 33.9 million and in December 2014, bloggers published 49.8 million posts. In just two years, the number of blog posts increased by about 47%. Do you think there's a correlation between more new bloggers and more blog posts? With the growth of content marketing as a practice, it makes sense that more companies would start blogging recently. And to do that, they may be hiring new bloggers. A lot of us are new to blogging. Your post from December 2014 competed with 49.8 million others published that month on WordPress alone. As the number of blog posts continues to grow, it's never been more important to create exceptional content that stands out from the rest. 2. Most bloggers are solo artists. An overwhelming 58% of respondents are solo artists. Teams of two make up 17% of bloggers, and three-person teams take 8% of the pie. With so many roles to fill—writer, editor, social media manager, graphic designer, and more—it's no wonder why 22% of respondents say finding enough time to create content is their biggest professional challenge. You have a ton to do and not a lot of time to do it. Planning your content—though a top challenge for 20% of our respondents—can actually save you a lot of time. Focus on consistency, great topics, and growing your audience to get more traffic. 3. Most bloggers are planning to publish more content. Is this any surprise? 49% of respondents are planning to create a lot more content in 2015 than they did last year. Another 37% plan to create somewhat more content. Only 2% plan to create less content. You knew this was coming: Make sure to publish more quality content. More isn't always the answer, but more high-quality content can definitely separate you from everyone else. Can we learn from the 2% who plan to create less content? Definitely. At CoSchedule, we recently dropped from publishing three posts a week to publishing only two consistently. That gave us the opportunity to hone our resources on creating even better content we think you'll really dig. 4. Stand out with underused content formats and distribution channels. You could probably guess some of the top content formats bloggers plan to use in 2015: social media, e-newsletters, images, videos, and e-books. Social media is a great way to share your knowledge where your audience is already hanging out. And sharing your content this way can quadruple your traffic—or more. E-newsletters, like social media, are great for sharing your content with your subscribers. It's predicted that there will be 4.1 billion email accounts in the world by the end of 2015. Images keep readers' attention as they scroll through your content. 60% of people are visual learners. Videos have been predicted to account for 69% of all consumer Internet traffic by 2017. Yup, we want to get some of that. 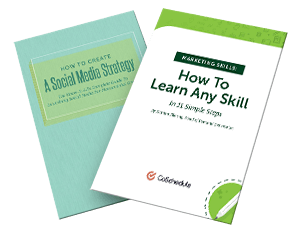 E-books are an excellent way to repackage your blog posts as super helpful long-form content. Let's be clear: Print's not dead. Actually, with the explosion growth of blogs, print is a way to differentiate yourself from your competition. Just apply the same great content practices you use for blogging in a print format. Include reasons to visit your blog for additional related content in your print newsletter. Invite your audience to try a new digital tool from your print newsletter. Invite your print newsletter subscribers to join you on social media. In your digital newsletter signup, have a preference for the print version. Now, I'm not saying this is better than digital—you now have added costs from printing, packaging, and likely mailing. But in a world where screens are bombarded—and about to become even more inundated with content—you'll be one of the .5% who reach out to your audience with this method. Do you think print is dead? If you're planning your blog content, you might survey your customers. Why not repurpose that information and give it to them with some interesting takeaways? It's not hard to think of a few questions, survey your audience, and analyze the results. In fact, it'll probably help you understand their needs a whole lot better. That's exactly what this post you're reading right now is doing. Imagine building a community where you can interact with your audience, and they can ask each other questions. You could bounce ideas off of them, and they could give you feedback. If such a community already exists in your industry, why not join to help your audience out? That could be as simple as looking for LinkedIn Groups where your audience is already active. Kristi Hines does this really well in our marketing industry. Every time I check out LinkedIn, she's providing helpful guidance, sharing relevant content, and also promoting her own stuff. But she does this so well—so balanced—that I really enjoy seeing her updates. Kristi Hines is a blogger who constantly participates in forums. Just look at her comment! Earned content—like getting your press releases picked up by a publication—is one of the most trusted forms of content. Imagine the possibilities this could provide with local content. As bloggers, we can learn a thing or two from the public relations pros. If you do one, you can repurpose it for the other. Imagine writing blog posts, but publishing them first in print format, sharing that digitally, then publishing individual posts. That's a lot of repurposing with the same content. Joe Pulizzi of Content Marketing Institute has said it dozens of times on his This Old Marketing podcast: Chief Content Officer magazine gets a lot of talented people to help create content, stands out because the audience can disconnect from their screens for a while, and helps CMI achieve their goals of reaching a certain audience. While printing a magazine has its costs, this combination of repurposing your content at least three different ways could really set you up to stand out and maximize your efforts. You've had a lot to say on your blog. And you've probably met some other awesome folks in your industry along the way. Why not get your thoughts together, invite a couple guests, and try a webinar on steroids or an in-person event? Here's exactly what you need to get started on your event marketing plan. Have you ever attended a virtual conference? Anybody in a technical industry out there? These work really well for telling a unique story of problem, solution, and outcome. Indium is a company full of engineers who do nerdy engineering stuff. Their engineers share their nerdiness with their audience of engineers through blogging. And I mean this as a huge compliment. Imagine the technical know-how you could take from your employees—like Indium does—to share in the form of white papers. Do you think all case studies are just "how we rock and why you should buy from us and no one else?" You can—and should—still have these be helpful content that has immediate and actionable takeaways for your audience. Here's an example of how we tried to do that recently with Raven Tools and Convince and Convert: "How To Get Your Team To Create More Consistent Content." Is there a calculator, analyzer, or some other tool that would really help your audience do something better or save them time? When our audience wanted the ability to help their readers share posts right from their blogs, we developed Click To Tweet and gave it to them for free. Click To Tweet is an awesome way for your audience to share right from your #blog posts. And since our audience wanted more social media shares for their content—actually, a whopping 19% of bloggers use social shares to measure their content's success—we gave them a headline analyzer to help them out. While these aren't mobile apps, tools can take many formats. Explore your audience's needs and biggest challenges, and see if there's a way you can help them solve their problems. 5. Focusing on fewer content formats may be worth your time. Other than blog posts, respondents' most-used content formats in 2014 included social media, images, and e-newsletters. To begin, it's interesting to compare the use of images and e-newsletters between more experienced bloggers and those new to the profession. A lot more veteran bloggers use images and e-newsletters than newbies. Images break up long strings of text and make content easily shareable on social media. Tweets with images get 150% more click-throughs than those without. If you create great content without distributing it, you miss out on a lot of opportunity to convert your subscribers into customers. E-mail has been proven to get 40 times more conversions than Facebook and Twitter combined. Using images in your posts and repackaging those posts in e-newsletters are two great ways to maximize your existing content. Without creating more. Which brings me to my second point: I originally thought more experienced bloggers would use more content types than newer bloggers. It turns out, those who've been blogging a year or less use a few more formats than veterans who've been in the gig for five to 10 or more years. But while new bloggers use a few more formats, more veterans use the top content types than newbies. It may be worth your time to focus on a few select content formats to get really good at them instead of spreading yourself too thin creating many different content types. It might even work best to concentrate your energy on one at a time. After you rock at something, you can add something else. Otherwise, you might be biting off more than you can chew. Ernie has some great advice—don't shoot for perfection because you'll never get there. But you can get really good at a few things rather that just producing a bunch of things. Figure out what's working and stop doing what's not. Getting enough time to plan and create content is difficult to come by. So it's worth it to audit the different types of content you're creating to see which are having the greatest impact on your marketing goals. 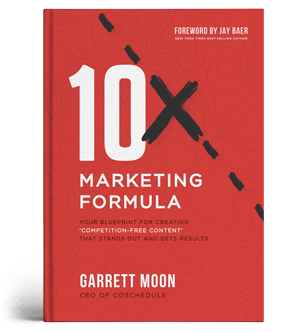 From there, you can stop creating the ones that aren't working for you and focus more time on the content that's driving results. After that, you can work at getting really good at those formats. If you saved time, could you use it for your blog? If you stopped using so many different content formats, could you put more time into your blog posts? Right now, most bloggers put only two hours into their posts. Can you learn from the veteran bloggers? You've heard the "fact" that most blogs only last three months. Don't let that boogeyman stat scare you into stopping if you're a newbie. There are a lot of veteran bloggers out there. Find one in your community and connect with them. Follow them through the wonderful world of the Internet. There's a reason they're veterans—they stuck with it even if progress seemed slow at first. 6. How to plan your blog content (courtesy of your fellow bloggers). So, speaking of learning from your fellow bloggers, here's how some respondents told us they plan their blog content. I have to end this by thanking all of you who took the Better Blogger Survey. All of us here at CoSchedule appreciate your feedback. "By the seat of my pants." "I don't plan as much as I should." ...you all helped us understand what we can do to help you plan content in a way that saves you a bunch of time. Look forward to a bunch of stuff that should help you do this throughout 2015.